Zodiac were a studio group who released one album, Cosmic Sounds – Celestial Counterpoint with Words and Music, in May 1967. The members of Zodiac were respected session musicians Bud Shank,Carol Kaye, Cyrus Faryar, Emil Richards, Hal Blaine, and Paul Beaver. Each song is devoted to the signs of Chaldean astronomical zodiac. 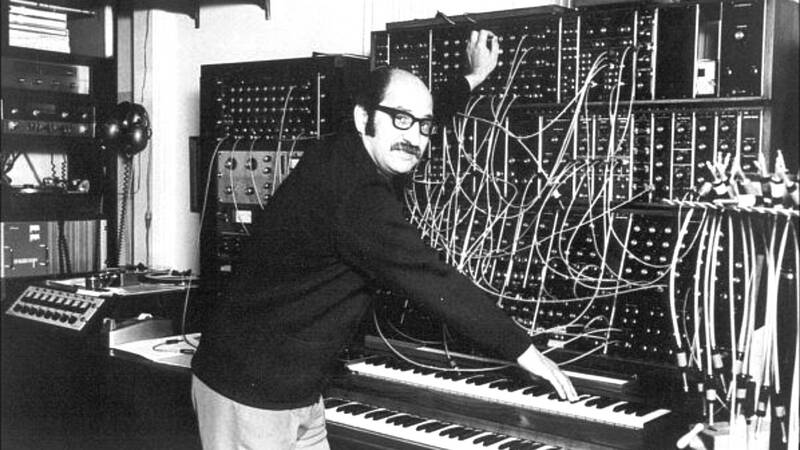 The music was written by Canadian synthesizer pioneer Mort Garson. The spoken word narration was penned by Jacques Wilson and are narrated by Faryar in a voice reminiscent of Jim Morrison‘s who as part of The Doors, had recorded their debut in 1966 and released it in January 1967 to great acclaim. The success of The Doors was a primary inspiration for the project. Elektra head Jac Holzman came up with the concept and hired Alex Hassilev, a member of The Limeliters, to produce. Hassilev brought Mort Garson to the project — the two had just formed a production company together. Morton S. “Mort” Garson was born 20 July 1924 in Sain John, Canada and was a Cancer. He moved toNew York City where he studied music at the Juilliard School of Music. He worked as an arranger and pianist. After serving in World War II he worked as a session musician. 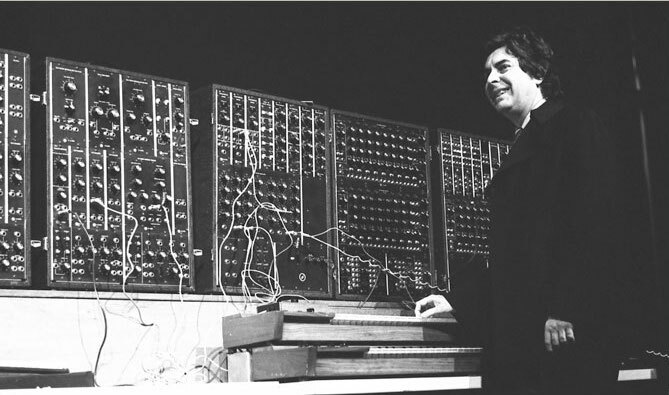 While working on Cosmic SoundsGarson met Robert Moog and as a result featured his Moog synthesizer heavily in the arrangements, played by Paul Beaver. Garson died of renal failure in San Francisco in 2008. Clifford Everett “Bud” Shank, Jr. was a jazz flutist, saxophonist, and a Gemini. 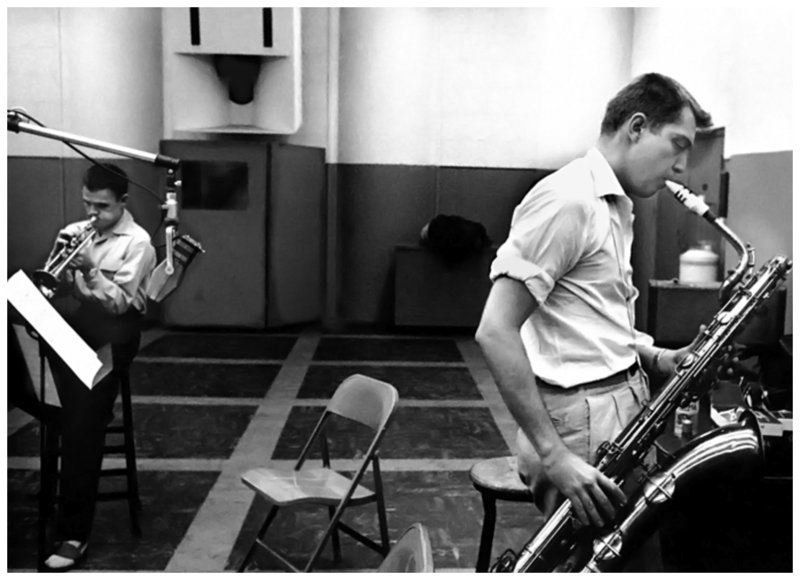 He was born 27 May 1926 in Dayton,Ohio and attended the University of North Carolina between 1944-1946 then moved to California where he studied with Shorty Rogers and played in the bands of Charlie Barnet and Stan Kenton. In the 1960she primarily worked as a studio musician in Los Angeles. In the 1970s he formed The LA Four. He died on 2 April 2009 in Tucson, Arizona. 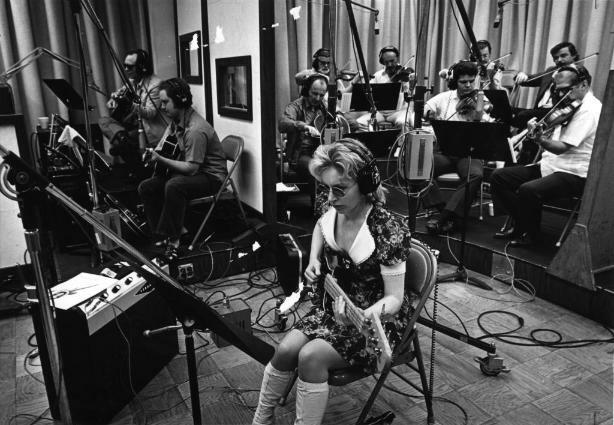 Carol Kaye was born Carol Smith on 24 March 1935 in Everett, Washington. She is a bass guitarist andAries. In the 1950s she played in nightclubs before being paired with Sam Cooke in 1957. As a member of the celebrated Wrecking Crew she was one of the most widely recorded session bassists and has over 10,000 credits. She retired from recording in the 1970s due to arthritis. Cyrus Faryar was born 26 February 1936 in Tehran and is a Pisces. He was raised in Honolulu, Hawaiiand after college operated the Greensleeves coffee house, a haven for beatniks. He moved to Southern California in the 1950s. After Dave Guard quit The Kingston Trio, the two briefly played together in The Whiskeyhill Singers. That group quickly disbanded and returned to Hawaii Faryar co-founded the Modern Folk Quartet in 1962. He released two solo records in the 1970s but worked primarily as a session musician and producer. Emil Richards (né Emilio Joseph Radocchia) was born 2 September 1932 in Hartford, Connecticut and is a Virgo. 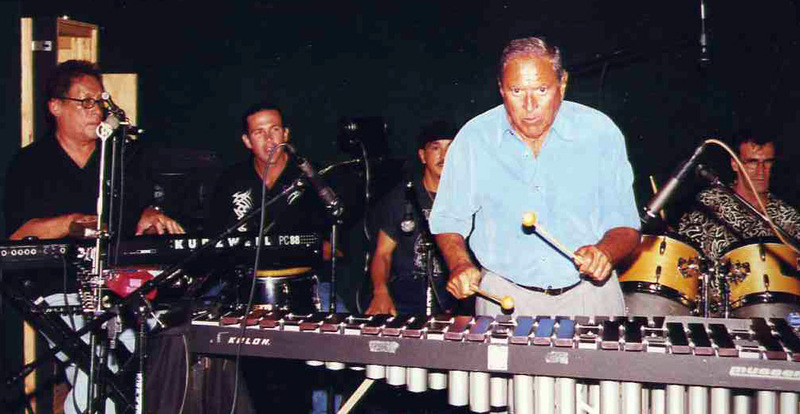 He began playing xylophone when he was six and later graduated from the Julius Hartt School of Music. He played in various ensembles in New England and New York before settling in Los Angeles in 1959 where we was in demand as a session player. 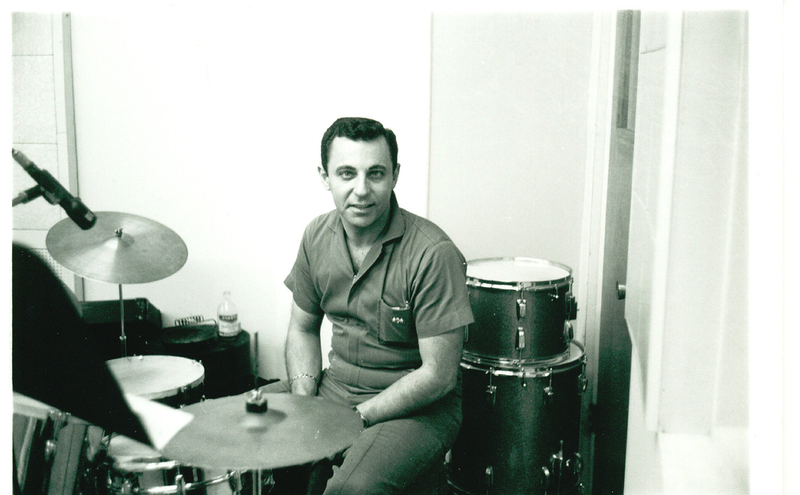 Hal Blaine (né Harold Simon Belsky) was born 5 February 1929 in Holyoke, Massachusetts and is anAquarius. He played drums with several bands before finding steady work as a session musician for Capitol Records as a member of the Wrecking Crew. Though mostly uncredited he recorded the drums on more than 40 number one hits. Paul Beaver was born in Ohio in 1926. He was a session musician especially associated with the Moog synthesizer which he played on releases by The Byrds and The Monkees. In 1966 he co-founded the electronic pop group Beaver & Krause. In the 1970s, with Ruth White, Beaver co-founded the The Electronic Music Association in the 1970s. Beaver died in 1975. The music, as one might expect, is groovy in the extreme. So too is the album art, by Abe Gurvin. The album contains instructions for the the listener, “Must be played in the dark.” The music seems likely to have inspired The Moody Blues’s Days of Future Passed, Louise Huebner‘s Seduction Through Witchcraft, and the rock musical, Hair: The American Tribal Love-Rock Musical. I wonder if the Zodiac Killer owned a copy! Garson and Hassilev had planned to do a series of concept albums and they began working on The Sea with Rod McKuen but McKuen left the project and recorded his own version with Anita Kerr and The San Sebastian Strings for Warner Bros. Hassilev produced The Dusk ‘Till Dawn Orchestra‘s Sea Drift, with Garson conducting. Garson and Wilson re-teamed in 1968 for The Wozard Of Iz album, produced by Bernie Krause and released on A&M and a series of twelve follow-up albums; one for each astrological sign. Cosmic Sounds is long out of print on vinyl but was reissued on aluminum compact disc by the Water label in 2002.